Nigeria’s leading anti-terrorism campaigner, the Coalition Against Terrorism and Extremism, CATE, has condemned the recent comment by the Yobe State Government which blamed the recent abduction of School girls in Dapchi, Yobe State on the withdrawal of troops from the area. National President of the group, Comrade Gabriel Onoja in a press statement said it is disingenuous of the Yobe State Government to try to blame the same institution that rescued the state from the grip of terrorism at the slightest instance saying it amounts to ingratitude to try and play politics with an issue as important as security. The group said rather than acknowledge the tremendous contributions of the military in securing the state and even the Yobe Government House which at a time was overtaken by the insurgents, the Yobe State Government is trying to give the impression that it has no role to play on the provision of security and that whatever lapses that may have occurred falls squarely on the shoulders of the military. The group said this is most unkind to an institution which has lost hundreds of its men and officers and whose personnel have sacrificed their comfort and that of their family to secure the state. Onoja said it is on record that the military went into Yobe and other surrounding states and freed territories and local government hitherto captured by the insurgents and set many captives free and ensured that normalcyreturned to several other communities. 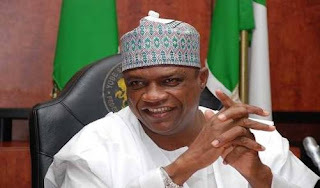 He said the Yobe State Government and the civil authorities should have taken over from there to ensure security and enforcement of the law as there is no way the military can remain at a place continuously while its attention is needed in other areas that may be facing fresh threats. The group said if the state and local government authorities as well as the police and other security agencies had moved to the communities to ensure law and order as well focus on intelligence gathering, the incident at Dapchi would not have occurred. The group insisted that the successes of the Buhari’s administration on terrorism cannot easily be dwarfed by any individual or group of persons who may have sworn to make political capital from every situation irrespective of the pains and sorrows that may cause those involved. is most unfortunate and an attempt by some blind elements to downplay the achievements of the militray despite glaring evidence. The group further warned that some stakeholders have jumped into conclusion even when no one has taken responsibly for this pure act of political sabotage to reduce the efforts of the administration. CATE said whilst it’s unwise to jump into conclusion that Yobe politicians might be behind the abduction of the girls, it warned that Nigerians have never trusted any politician from the north-east as far as Boko Haram is concerned as they have refused to take any reasonable step in the past to address the Boko Haram issue as an ideology and fallout of a failed political set-up in the Nigeria. The group therefore charged all Nigerians not to judge the war against Boko Haram with sentiments but clear reflection on the immediate past before 2015 and the current situation that has seen Boko Haram taking flight before our military.